Where to Buy Prodiamine 4SC, Prodiamine 4SC Select Herbicide - 64 Oz - 2.5 Gallon - $71.95 for Sale with Fast Free Shipping! 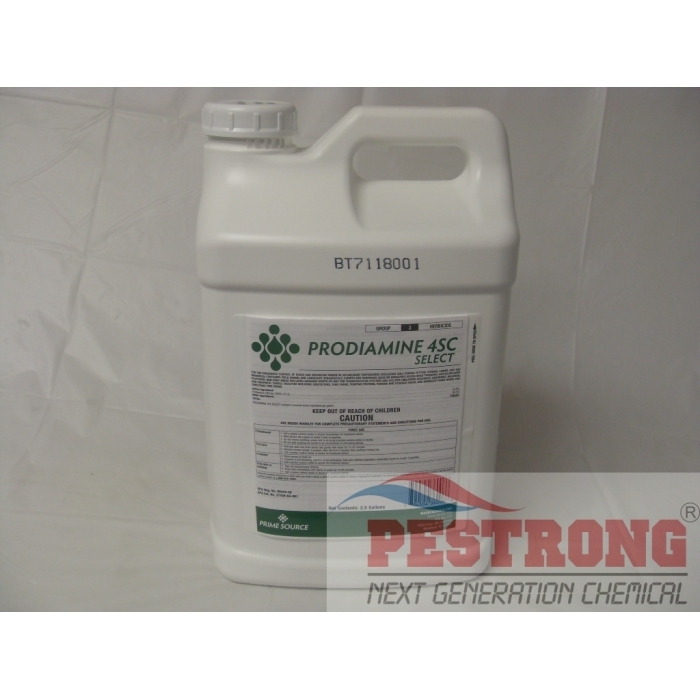 Prodiamine 4SC Select Herbicide - 64 Oz - 2.5 Gallon is generic barricade herbicide that provides residual control of many grass and broadleaf weeds by preventing growth and development of newly germinated weeds. Weed control is most effective when Prodiamine 4SC Select is activated by at least 0.5 inch of rainfall or irrigation or shallow incorporation (1-2 inches) before weed seeds germinate and within 14 days following application. Thank you for the quick and correct order. Proper pre-emergents are the way to go. Prevent the weeds before they become a problem. I use Dimension with Gallery and wow my yard/pasture has no crab grass, spring weeds, or clover!! !